Amy-Lauren Lum Won is originally from the small town of Barnwell, South Carolina and has called Hanapepe, Kauai home since 2002. She is the owner of Amy-Lauren’s Gallery, a multi artist gallery that she opened in 2005. When she isn’t painting fish or waves, she and her husband Corey are fishing on their boat, the Mango Maru, which is named after their pet pig, Princess Mango. Prices includes US shipping. Contact Amy-Lauren's Gallery for international shipping rates. 16”x 20” Acrylic and Shell. 20”x 16” Acrylic and shell. 36”x 48” Shell and acrylic. "Ascension (original sold, hand painted Giclee Available)"
24”x 24” Giclee Reproduction, Acrylic and Shell. 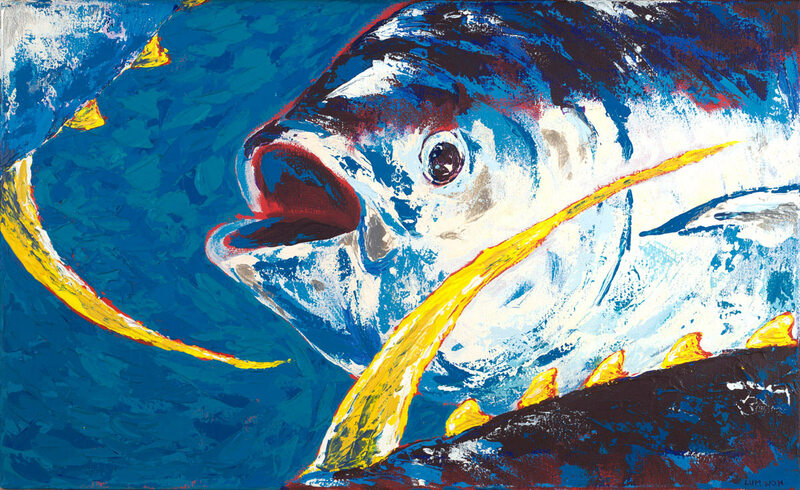 "Last Light Bite, original sold hand painted giclee available"
12”x 36” Acrylic, shell, and vinyl. "Sunset Sail, original sold hand painted giclee available"
15”x 20” giclee Acrylic and Shell. 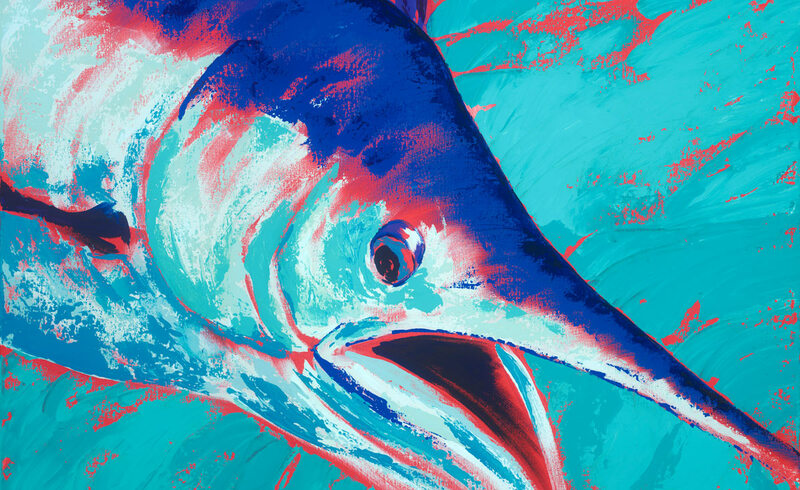 "Makaira, Original Sold Giclee Available"
18”x 24” Giclee with Hand Painting. "Moi Buoy I and Moi Buoy II"
12”x 12” Acrylic and Shell. 24”x 30” Acrylic and Shell. 18”x 24” Acrylic and Shell. 30”x 40” Palette knife acrylic on canvas. 40”x 30” Acrylic and Shell. 24”x 18” Acrylic, mother of pearl and shell. 24”x 30” Shell and Acrylic. 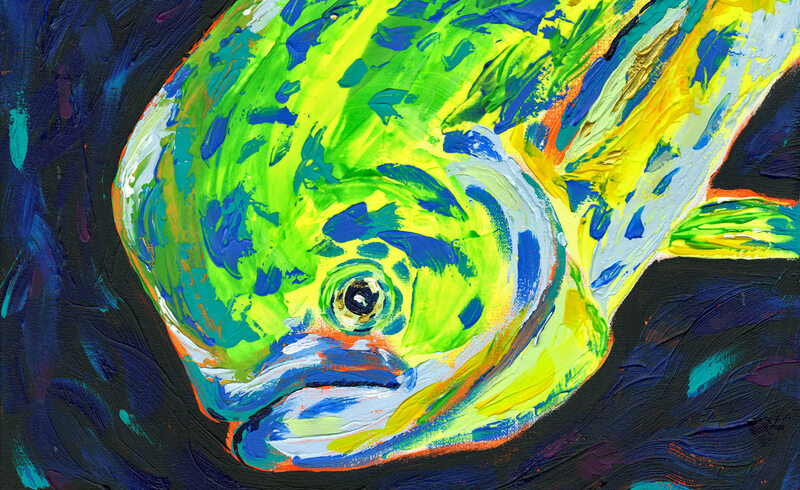 All contents © Amy-Lauren Lum Won, Kauai artist - Hawaii fish art. All rights reserved.